GoPro announced a new suite of action cameras on September 20th, and they’re launching in Canada on September 27th. There are three new cameras. The top of the line Hero 7 Black, the mid-range Hero 7 Silver and the entry-level Hero 7 White. All three of the cameras are waterproof for up to a depth of 10m, they each have a 2-inch touchscreens, voice controls, auto image offloading, time-lapse video, Wi-Fi, Bluetooth and more. No matter which one of the cameras you buy, they’re filled with a lot of features and technology. On a basic level, these cameras are similar, but the Black and Silver models have a few extra bells and whistles to justify their hefty price tags. The Black model’s most significant feature is its advanced stabilization engine. The company is calling it ‘HyperSmooth’ and claims that it works as well as a gimbal. The new tech only uses digital image stabilization instead of true optical image stabilization that’s found in some smartphones and high-end camera lenses. Don’t knock the tech though, because the footage that GoPro’s shared so far looks phenomenal. In addition to the stabilization, the Black Hero 7’s 12-megapixel sensor has high dynamic range, tone mapping and noise reduction. The Black shoots video in 4K at 60 fps which is higher than the Silver’s 4K at 30 fps and higher still than the White’s 1080p at 60 fps capture. The new high-end model also has a removable battery. The battery is the same as last year’s Hero 6, so it works with the new action camera. 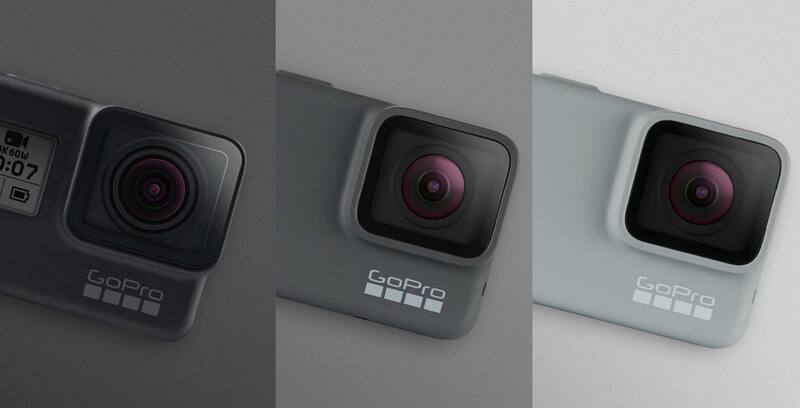 None of the cameras have a new design so they should be compatible with the same accessories that worked with the Hero 6 and Hero 5. All of this isn’t cheap, the Hero 7 Black costs $529 CAD. 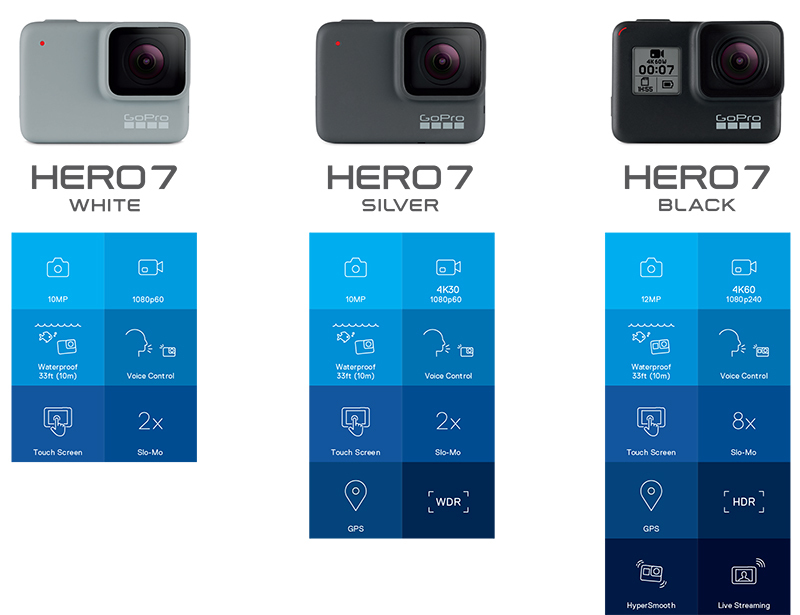 The Hero 7 Silver is a little less expensive at $399, and the White is the most affordable, coming in at $269. All of the units can be pre-ordered from BestBuy.ca or GoPro’s website. It’s worth noting that the GoPro throws in a free 32GB Sandisk Extreme SD card.